As you can see, our team was busy this summer, and many of these will be highlighted below. From the moment we completed our very successful inaugural Reclaim youth retreat this summer, we heard from many parents and students about doing another one. So, we are happy to announce that we will offer another (and more accelerated) #Reclaim retreat this November. Reclaim #2 will take place during the weekend of November 10th and 11th and will be open to students age 15-19. See more information and registration info below. I am grateful to our colleague Audrey Grunst from AG Behavioral Health and Consulting for co-developing this event with us. Audrey is a great resource, and from the very beginning of our collaborations together, we found the process of developing this program to be both easy and fun. I am confident that was also the experience of our first group of participants. We expect there to be a lot of interest in this next retreat, and space is limited. Please let me know if you have any questions. Marijuana legalization is beginning to rear its ugly head in Illinois. There are proposed bills in both the Illinois House and Senate, and we expect that these will be introduced during the next legislative session in January. We are obviously against any sort of marijuana legalization and commercialization, and we are taking steps to encourage action in opposition. Last month, we hosted a Marijuana Summit where we had nearly 40 coalition and prevention leaders across the state in attendance to strategize our next steps. We will host a similar summit on Wednesday, October 25th focused on parents and educators where we will provide important information that you need to know about the impact this legislation will have on local communities. More information will be forthcoming about that event. Danielle Franzese and Sonali Patel from our staff were down at the State Capitol Building in Springfield last week. They conducted “knock and talks” where they went door-to-door throughout the legislative offices speaking with legislators and legislative staff members. They were also in attendance for the public hearing on marijuana legalization and were able to provide witness testimony. If you’re interested, you can click here to read the testimony letter that was submitted as part of the public record. We are proud of the work that has been done to date on this, but this is really just the beginning. We are going to need community member support if we are going to make an impact. I encourage you to attend our next Marijuana Summit on October 25th from 11 a.m. – 2 p.m. Finally, we will be coming out with an online advocacy tool that will allow community members to take quick action once this is fully introduced into the legislature. Stay tuned! On September 28th, we will be hosting an event in collaboration with 360° Wellness and Coaching, featuring local author Matthew Selekman. Matthew will be presenting on his book Working with High Risk Adolescents. Matthew’s interactive presentation style gets rave reviews, so I hope you can join us. We will offer 2 CEU’s to those who attend. No RSVP is required. We hope you will join us on September 28th. 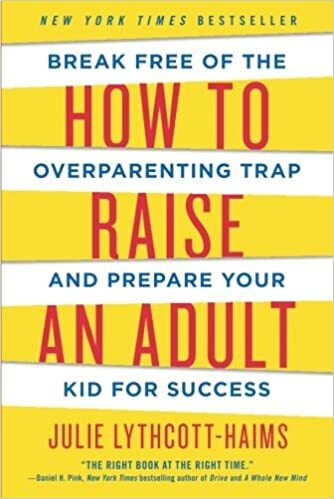 It is often said that the primary job of a parent is not “to raise great kids” but, rather, “to raise great adults.” This will be the primary theme of our 2017 keynote event featuring bestselling author and Stanford Dean Julie Lythcott-Haims. I want to express my thanks to Mike Simeck, Superintendent of Lake Forest School Districts 67 and 115 for co-sponsoring this event with us. Mike and I had the opportunity to hear Julie speak last Spring, and we were both incredibly inspired by what we heard. Julie will be visiting our community on Monday, December 4th and will offer a morning presentation for educators and an evening all-community event. Stay tuned for more details. I would encourage you to pick up and read a copy of her book in advance. We expect this to be a standing-room only event. Last Thursday, we hosted our kickoff coalition meeting for the 2017-2018 school year, and we had quite the crowd. There is a lot that the coalition needs to accomplish on behalf of the community this year, and we need you in order to do it. I cannot stress enough how important it is for every community sector to be active and engaged in the coalition this year, and we have taken steps to ensure that happens. This is not something we do just a few times per year. The coalition meets the first Thursday of every month at 12 Noon at the Gorton Community Center in Lake Forest. We offer free lunch at every meeting, and we need you! Please consider joining us for our next meeting on Thursday, October 5th at 12 Noon.